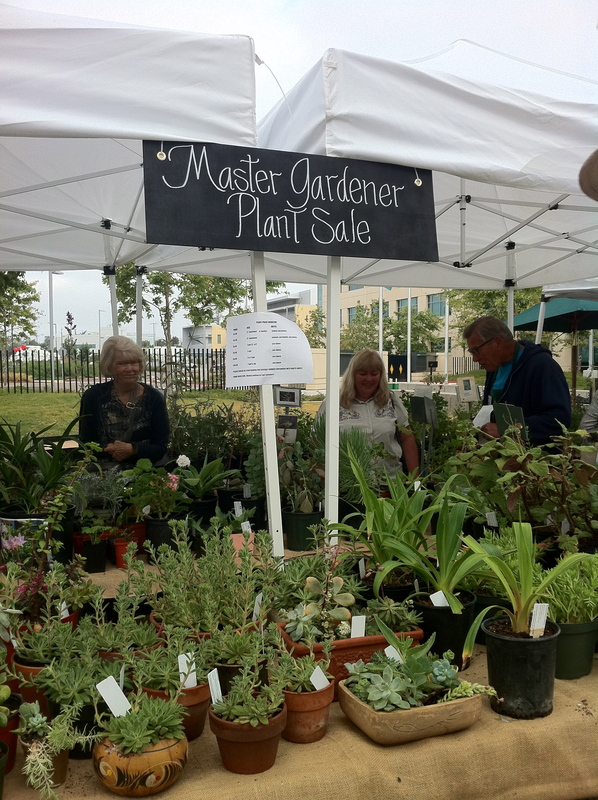 Master Gardeners | What's not to like? I should have just pitched a tent at the San Diego County operations center last week because I was there for two different events, three days in a row. 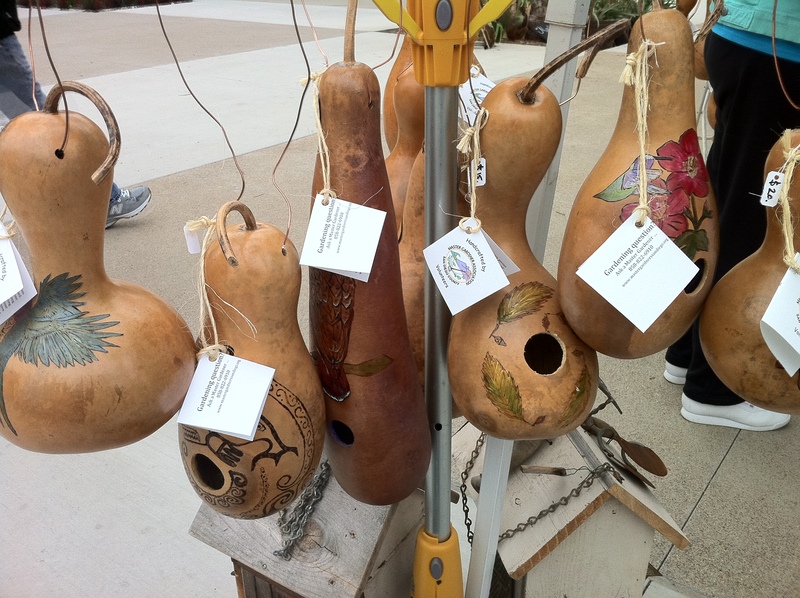 Both make me glad I live in San Diego County where good things are happening in the farm/gardening world. 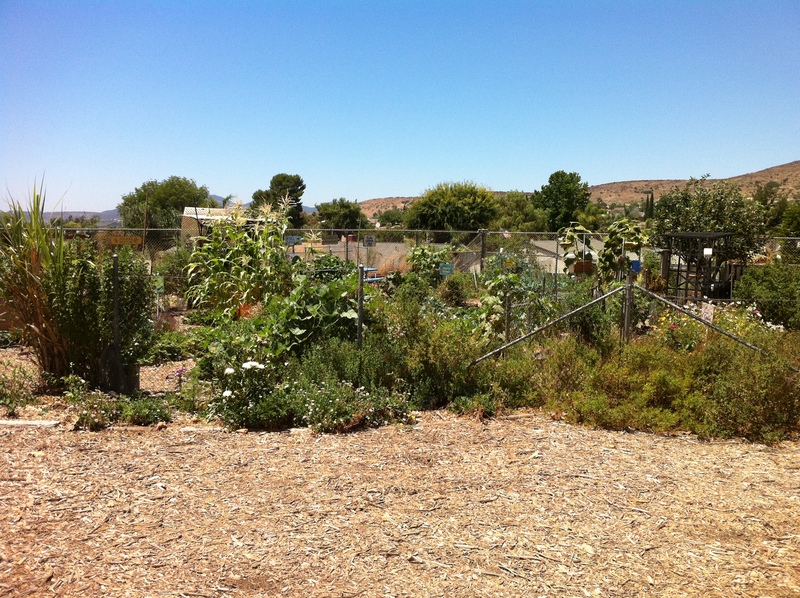 San Diego County has more than 6,000 small farms, including one-third that cultivate produce. But with no single broker between the growers and schools, the first step can be a logistical maze for districts. 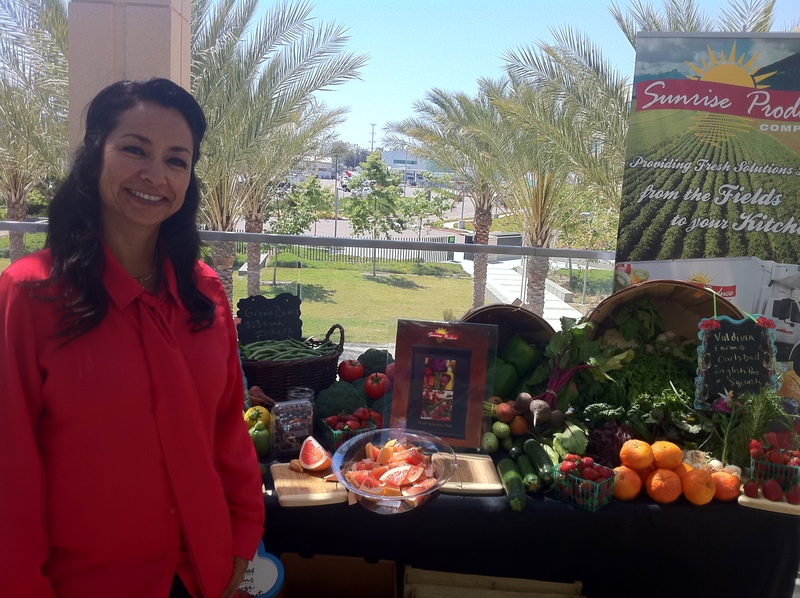 The San Diego County Farm to School Taskforce, a subcommittee of the Childhood Obesity Initiative, helped bridge that gap on Thursday with a showcase at the county operations center in Kearny Mesa. 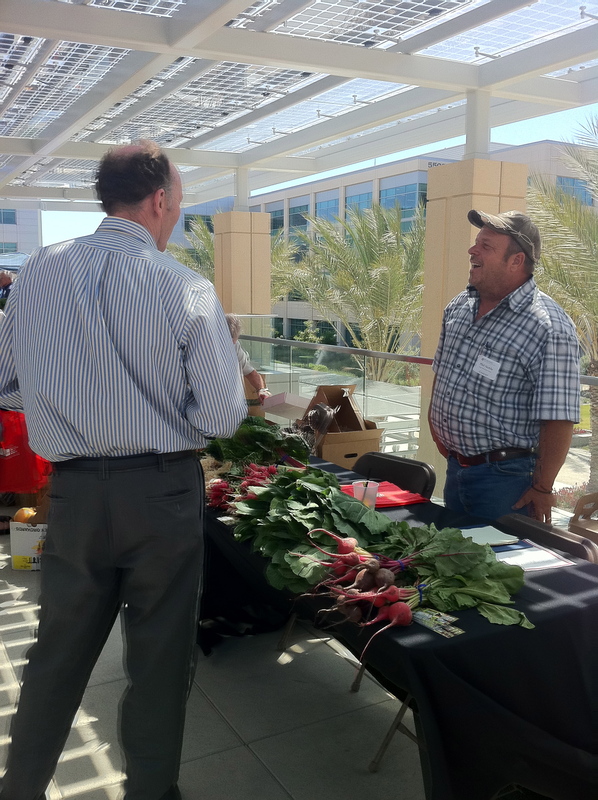 Representatives from about 30 school districts met with distributors and growers who set up booths that overflowed with produce in a farmers market-like setting on an upstairs patio. 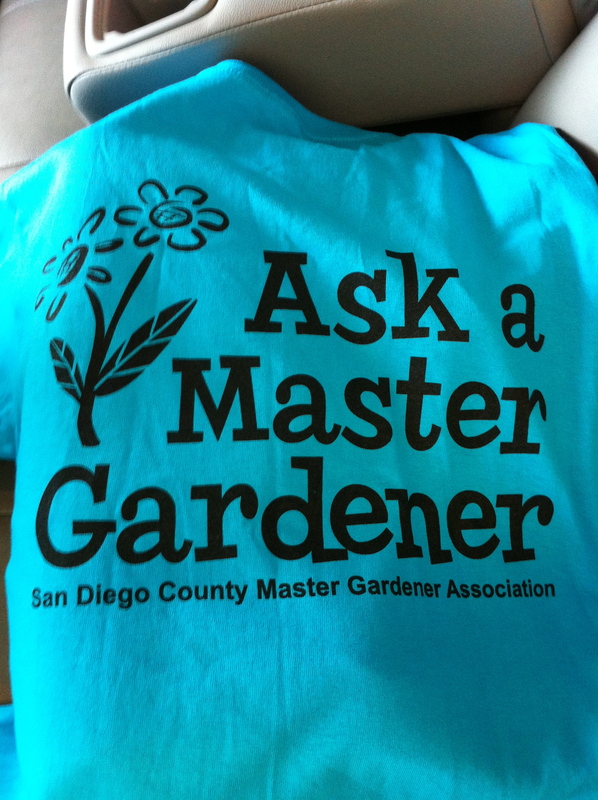 Then on Saturday, I was a plant schlepper for the San Diego Master Gardeners Spring Seminar. 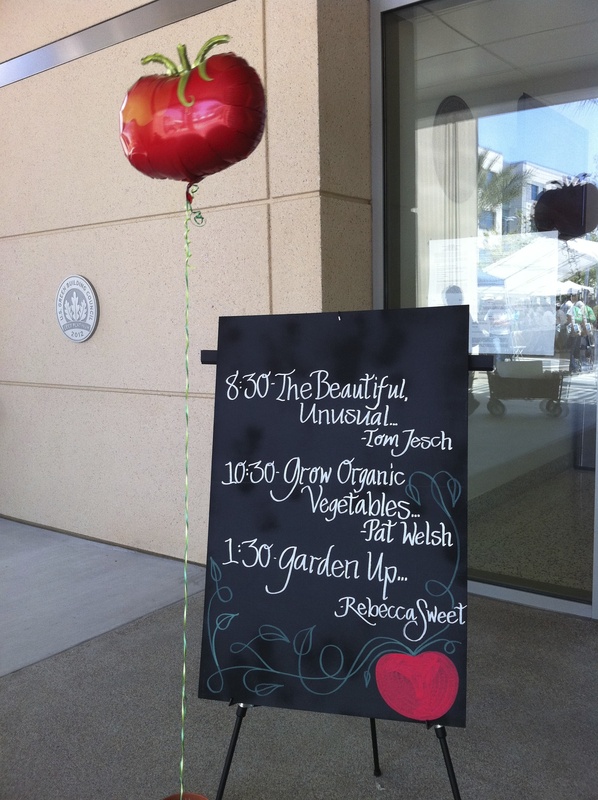 This is a full-day of workshops, lectures, cooking lessons (there was a singing chef!) 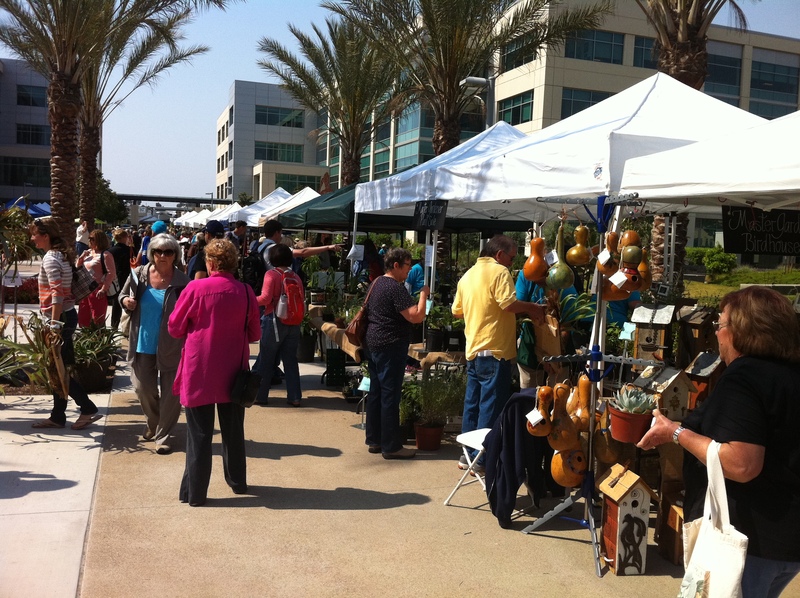 and a marketplace of plants, gardening tools and garden art. It was incredible, and I was proud to be a small part of it as an MG.
Official t-shirt? Check. Name badge? Check. Broad-brimmed gardening hat? Check. 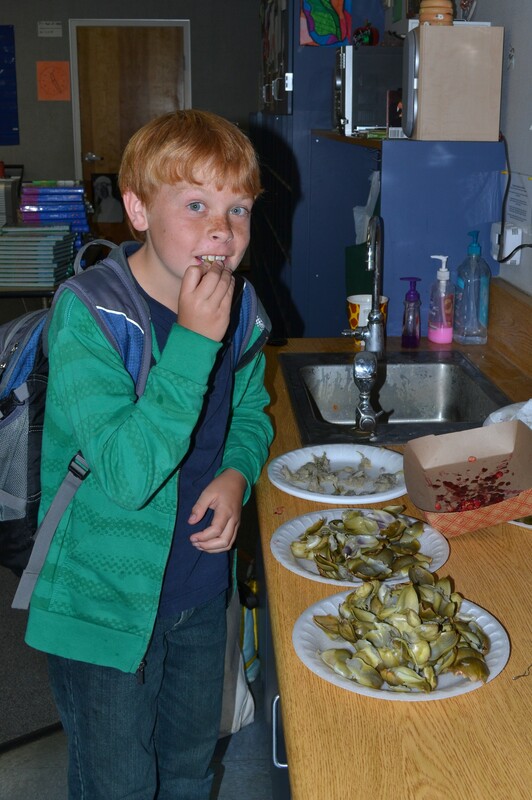 Often when we stumble upon a good idea that we’d like to use we say we’re “stealing it.” But someone once suggested we say “harvest,” an appropriate word for the borrowing of good ideas in school gardens. 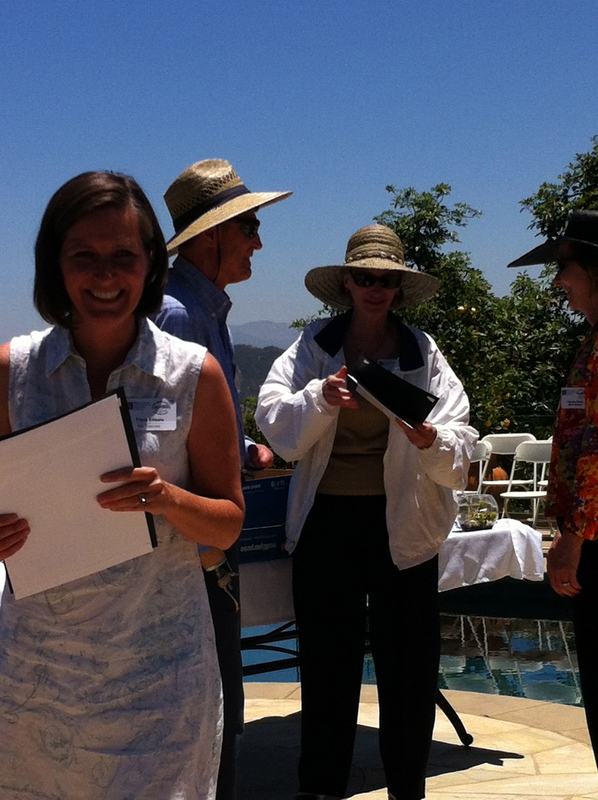 I love to share our ideas—that’s one of the reasons I write this blog. 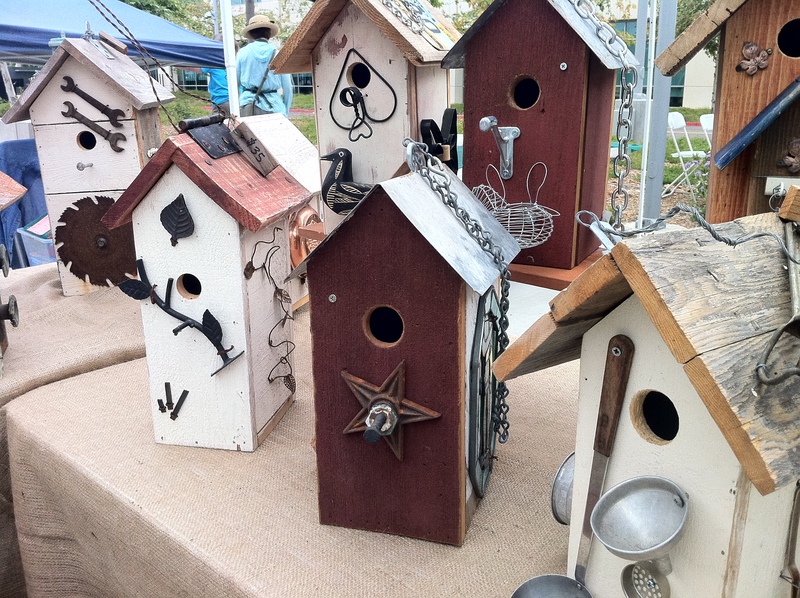 If someone finds inspiration or encouragement or how-to….well, I’m thrilled. 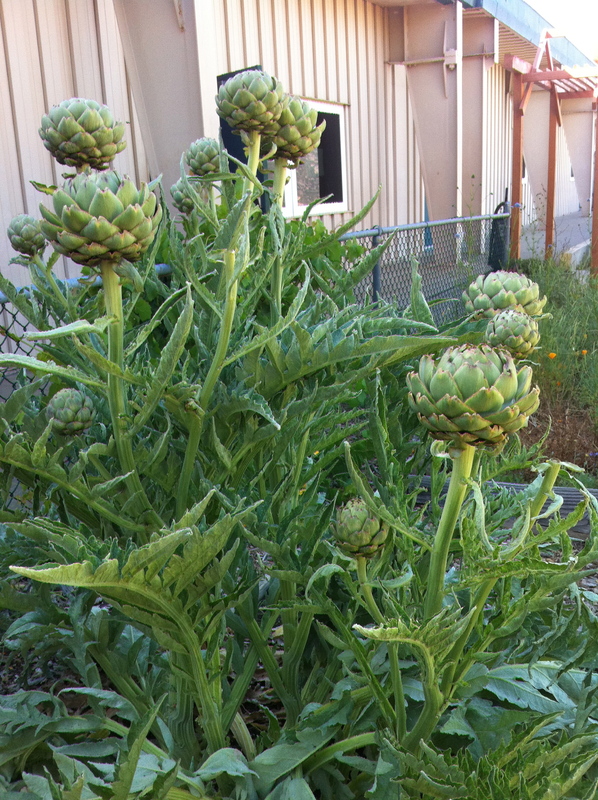 Today I got to see a wonderful school garden in Santee. 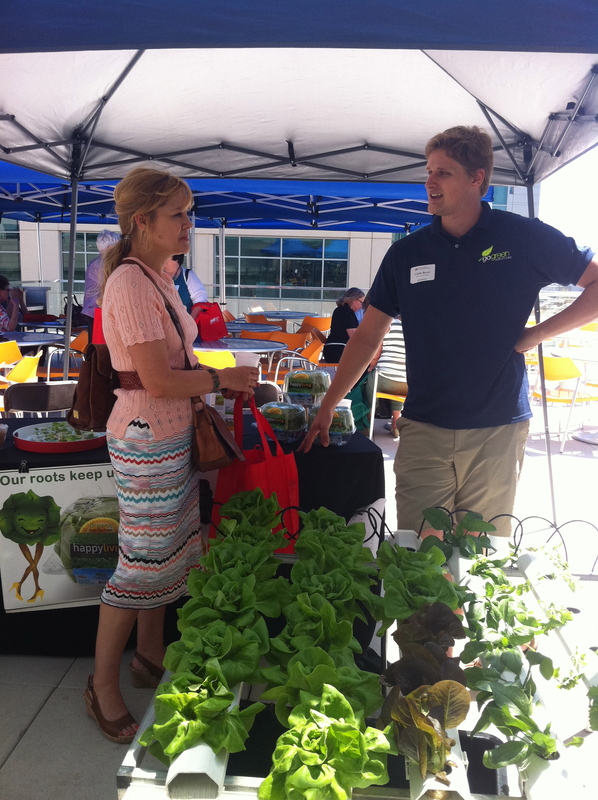 One of the main reasons I joined Master Gardeners program was to serve as a school garden consultant. 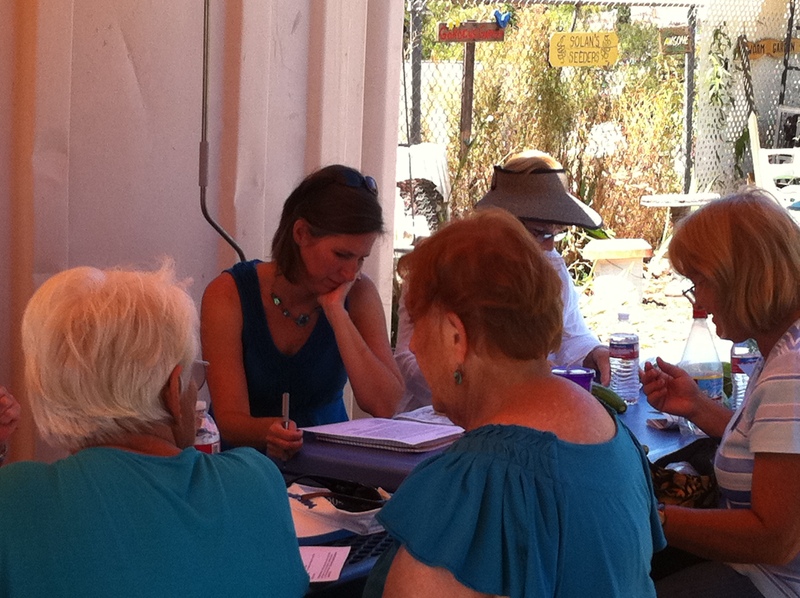 Today I attended my first committee meeting, which was held at Cajon Park Elementary. Here are some cuttings I took away…. One of the best things I saw. 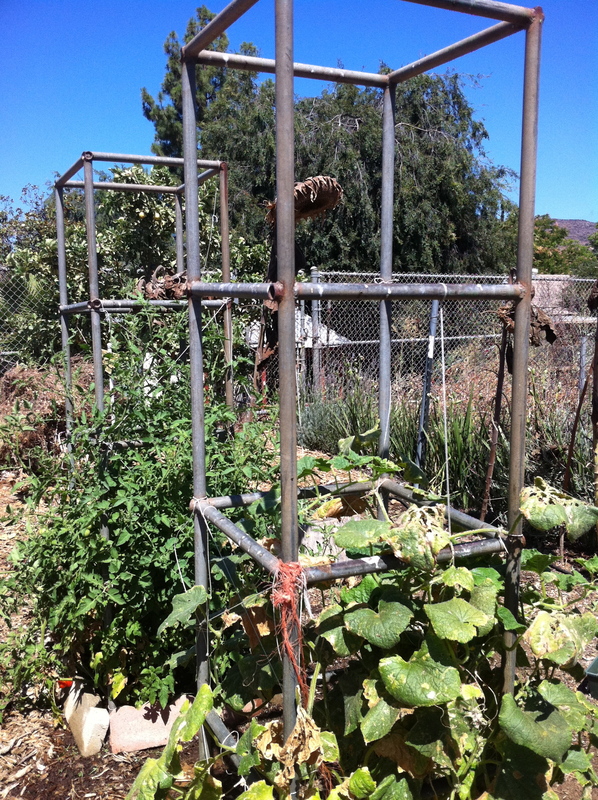 Do you recognize these trellises? 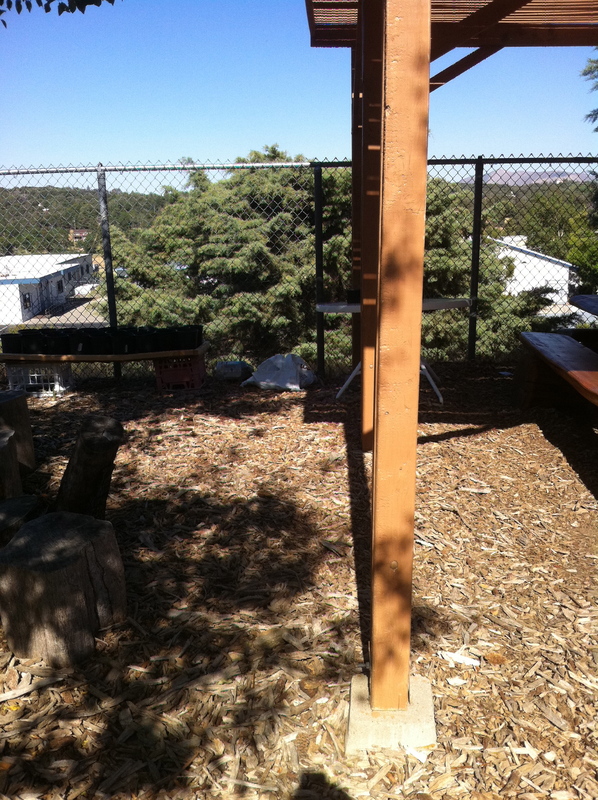 Repurposed playground equipment from back in the day. 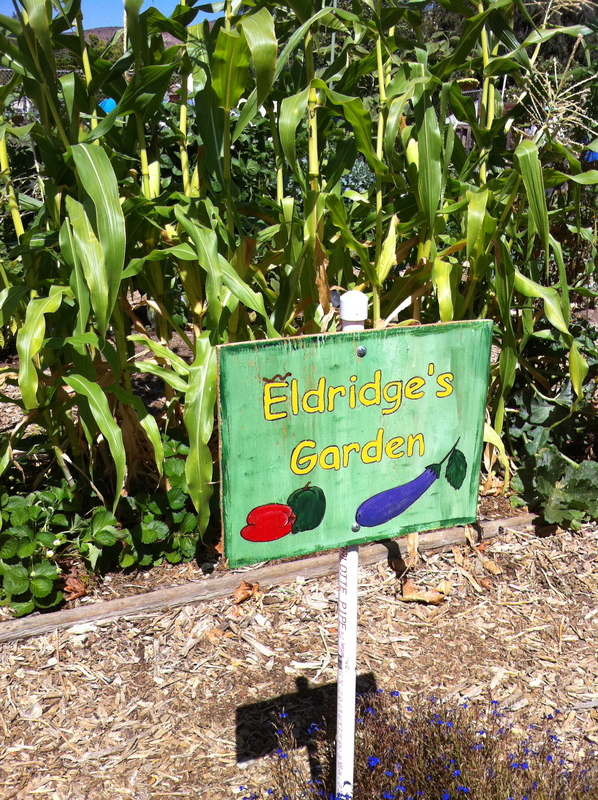 In this garden each teacher has a named plot. Whether a garden goes this route or not, ownership is always important. One of the garden coordinators was working during the meeting. She asked if she could include my kids who were with me for the day. 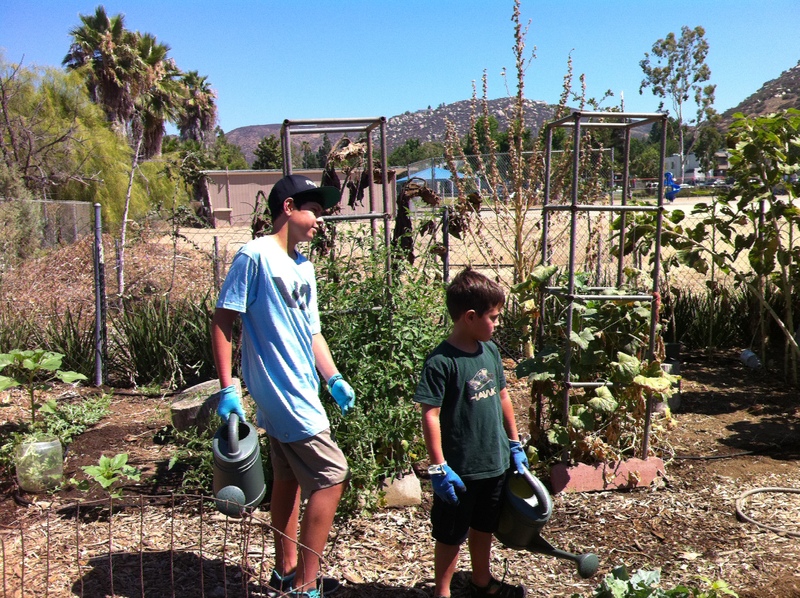 They planted, watered, measured a plot, harvested…. 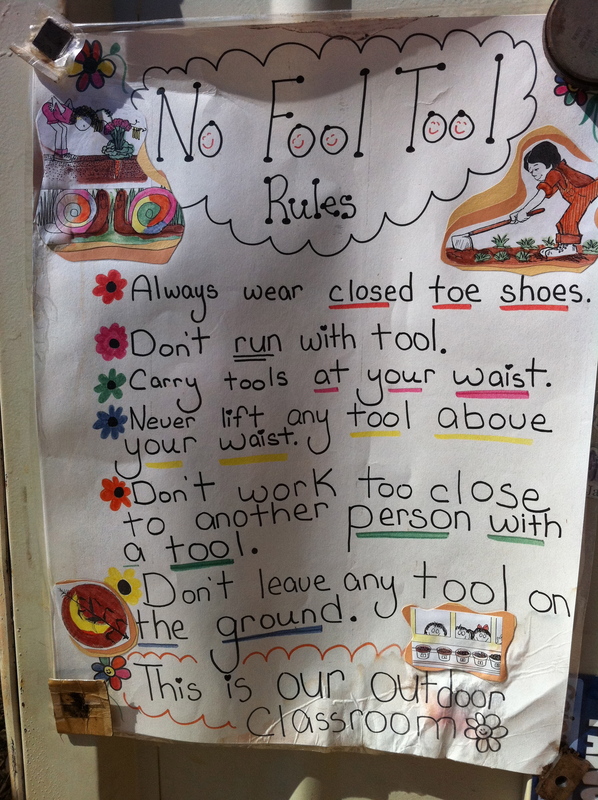 Garden coordinators are good at this—recruiting kids that are hanging around and giving them a job and teaching them something too. Harvesting this! 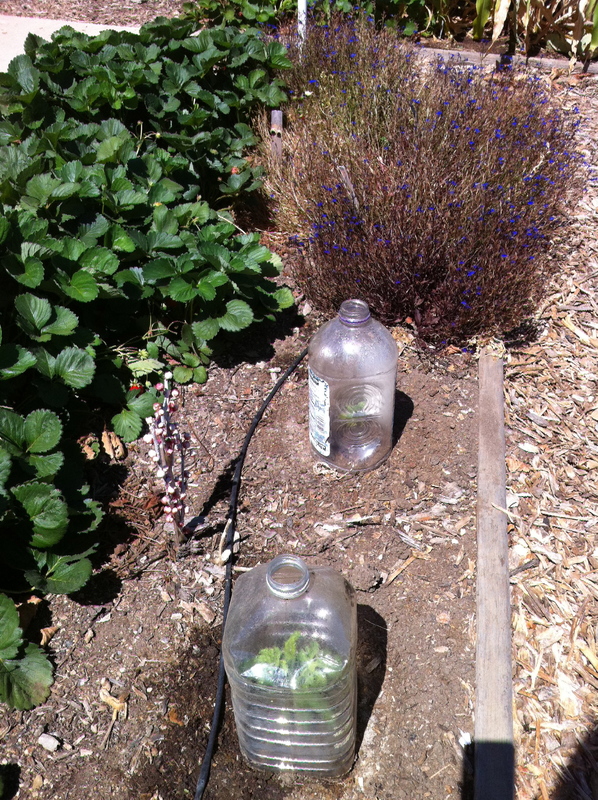 Recycled juice jugs protect baby plants and keep them moist like a terrarium. 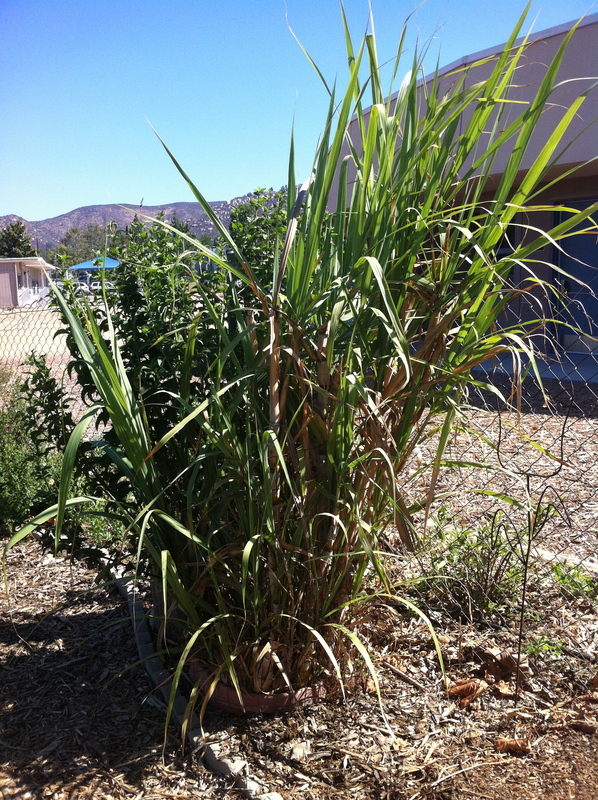 It’s so cool to walk across a school campus–mostly pavement and institutional buildings—and come upon an island of color and life. It always makes me happy. Me at my first meeting! So much to learn, so much to ask! 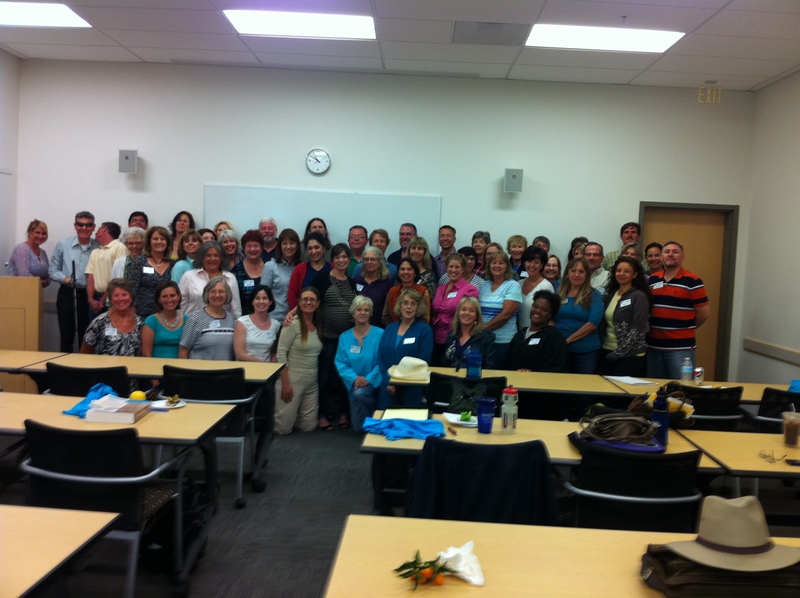 Two weeks ago I took my Master Gardener final. Well, I attempted to take it. God bless the working/studying/multi-tasking moms of the world. 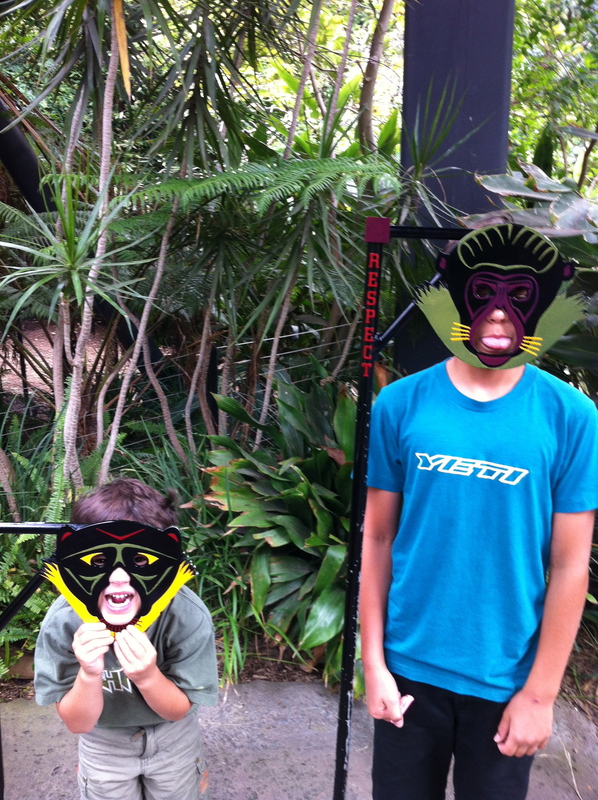 I sent Chris to the zoo with the kids. The last day of class we corrected the exams and took our first class picture. And then today we had a fabulous party and received our certificates. Upon completion, I must say that this is an OUTSTANDING program. Thorough, well-organized, hands-on, professional—there wasn’t a lecture or a homework assignment or a lab activity that was a dud. 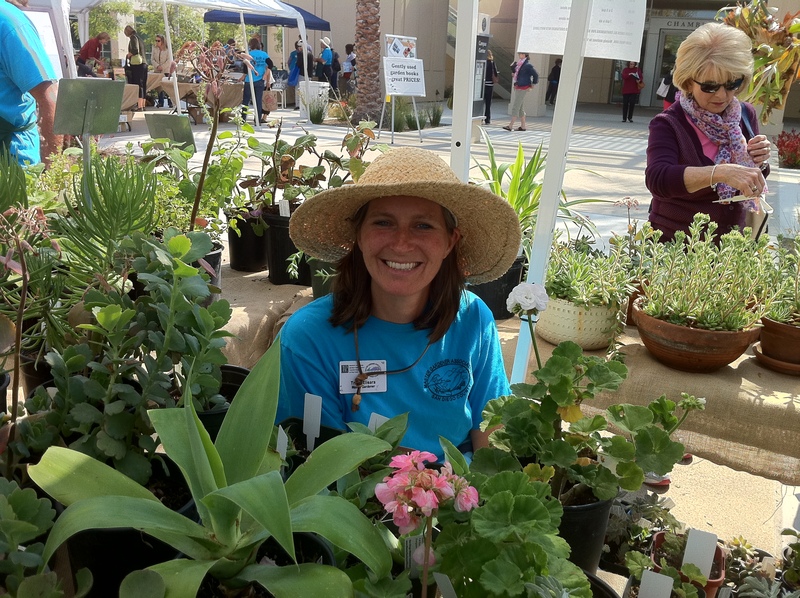 I feel honored to have participated, and I vow to make good on the “public service” end of the agreement that is at the heart of the Master Gardener program. but please go easy on me because really, there is a ridiculous amount to know about gardening, and I can be an absolute genius in one thing and still be an idiot in another and this program has laid the foundation for me to be a lifelong garden learner, eager to share what I learn with you…so just realize that I may know an answer but then again I may not and then I will do my best to find it….”Master” is a big word, I know, but I didn’t come up with the title. Thank you and have a nice day. It would be a little wordy, but at least it would provide full disclosure. How does anything grow at all when there are so many things that can go wrong? 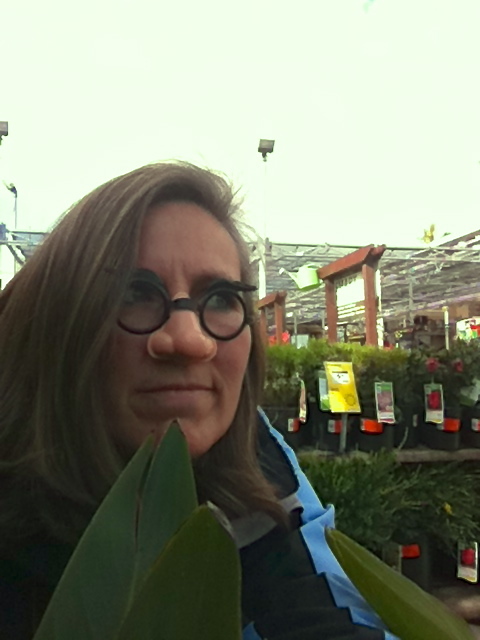 Really, a gardener could get freaked out looking into all of the variables that allow a healthy plant to grow. Consider the odds against fruiting—abscission of bud and flowers, weather, competition, disease, insect pests, shade, improper pruning….. But then this is also true: you can buy a tomato plant, put it in soil, water it regularly and you will probably get a tomato. And you will most likely be blind to all of the things that conspired together to make things go right. I find that a lot of gardening—life itself?—is about holding these two things in tension. 1) It’s complicated. Lots of things can go wrong, and lots of things can go right. As we meet hard stuff with courage and persistence and faith, we ought to meet the good stuff with some deep gratitude. I will truly never look at fruits and vegetables the same way again because everything I have learned has taught me that they are nothing short of miracles. 2) It’s simple. I think it’s important to slow down and demystify things so that we don’t get overwhelmed and paralyzed by them—things like gardening and scratch cooking and raising children and car maintenance. We ought not to overcomplicate things. We try, learn, experiment, fail, succeed, and ultimately, make progress. At the end of the day, we’ll probably have grown something good. 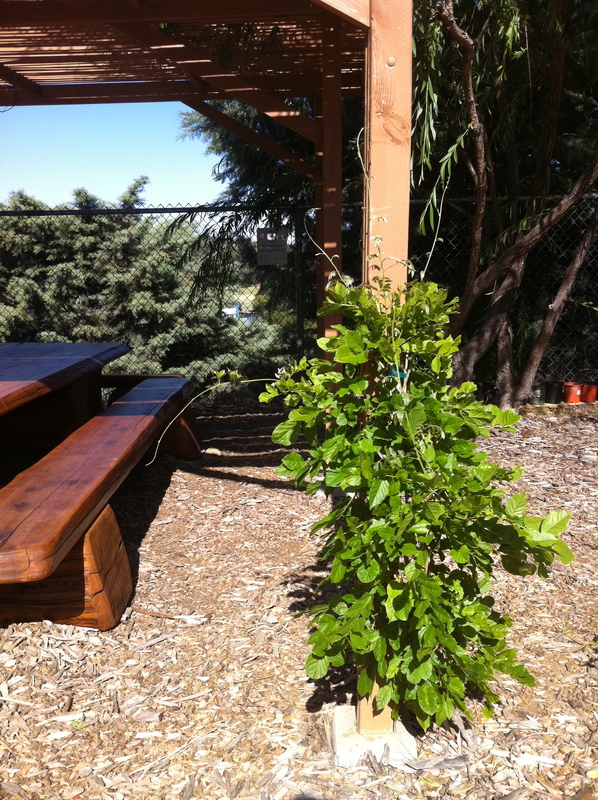 And here’s the wisteria vine we planted six feet away, same soil, same orientation, same watering and care. Yep, nothing there. It died, and I have no idea why. See? Complicated. 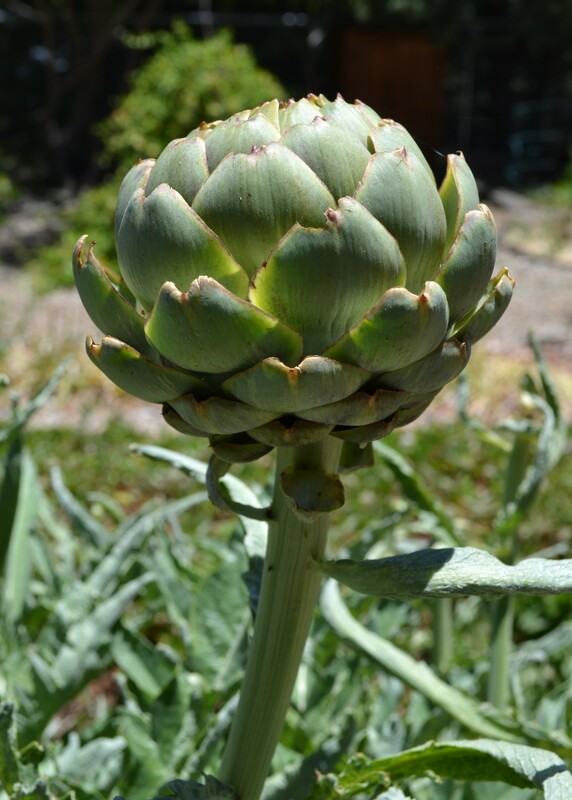 But then there’s this: artichokes.